That’s what the marquee read on the Western Hotel in Downtown Las Vegas. Thousands of people from all over the U.S. gazed up at the amorous message as they passed by. Some expressed appreciation vocally. More than a few took their picture under it. People commonly take pictures under billboards, but most of those billboards aren’t inside of music festivals. They’re usually out on some city street. Well in Life is Beautiful, a city street and a music festival are one and the same. 2017 marked the fifth installment of Life is Beautiful, and they will undoubtedly be back in Vegas for the sixth. 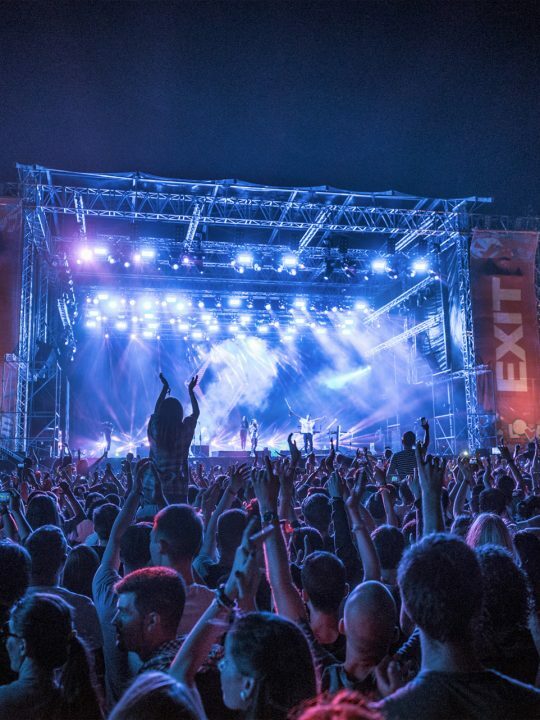 Unlike other large festivals which are collapsing under a changing market, Life is Beautiful is thriving through innovative design and extensive offerings. Read about our favorite parts of the festival below. 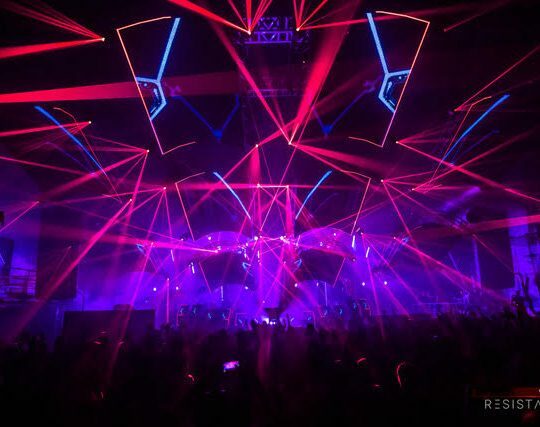 The success of LIB isn’t based on what’s in it It’s based on what it’s in; the venue. This point seriously can’t be stressed enough. 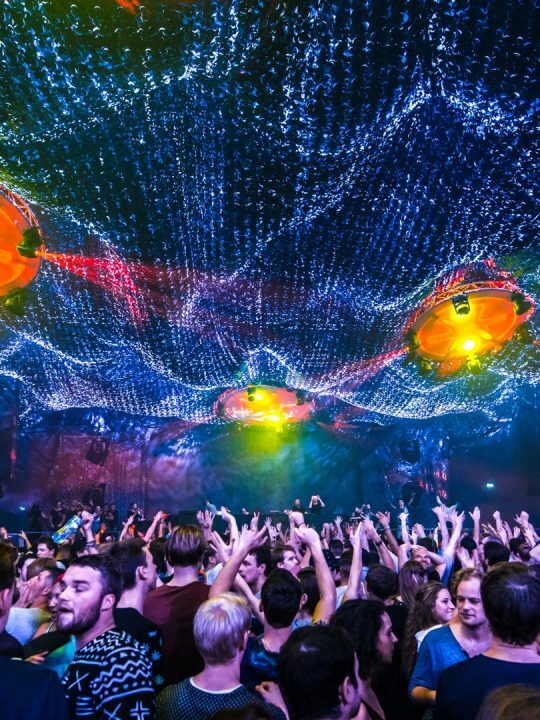 The venue is the reason for LIB’s success. 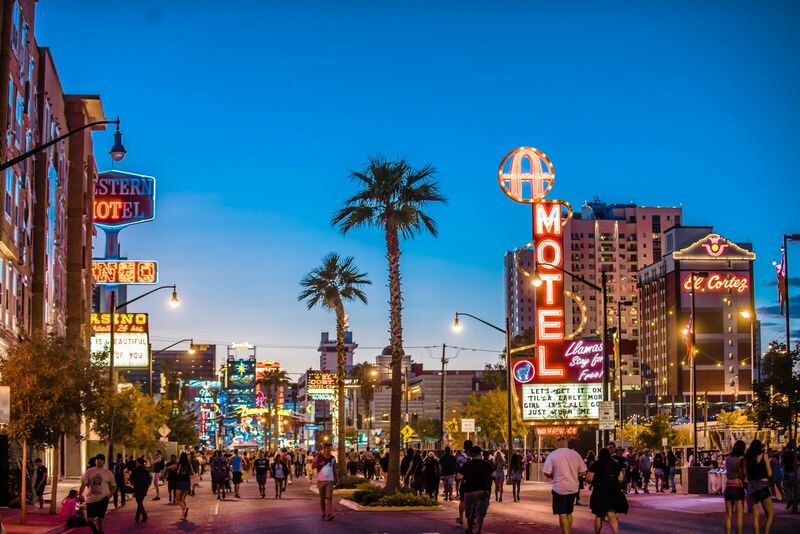 Unlike other festivals that use open spaces as their venue for maximum logistic flexibility, LIB leads attendees right through a section of Downtown Las Vegas. In fact, the best way to find stages and other attractions was to know which streets they were on (8th & Fremont, 7th & Stewart etc). They were always on corners for convenience. 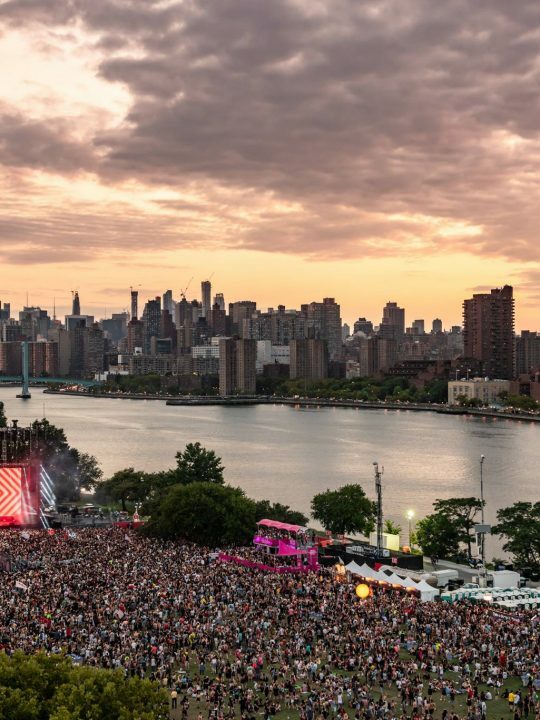 The only city I’m really familiar with is Los Angeles, but I can’t imagine it’s an easy task to seamlessly integrate a music festival into a major city. There certainly isn’t a section of LA where I could see a 50-foot tall stage next to an old apartment building. Yet the organizers of LIB managed to make everything fit. Surprise was behind every corner. Turn this corner and there’s a fire-shooting mantis. Behind that corner is one of the two art cars. Space Yacht is hosting one of them. Turn this corner you find Tycho spinning a DJ set. Every nook and cranny of the venue was utilized. Musty alleys were lined with colored lights or artisans peddling goods, while older buildings were fitted with brand new murals that will remain until LIB 2018. Traffic lights feigned their purpose as attendees passed giant stages adjacent to local businesses, and the coolest thing about the venue was many of those local business stayed open within the festival. There was a record store, a book store, and there were bars and restaurants all over the place. One of them, the Bunkhouse, even offered it’s own lineup as there was a stage inside. 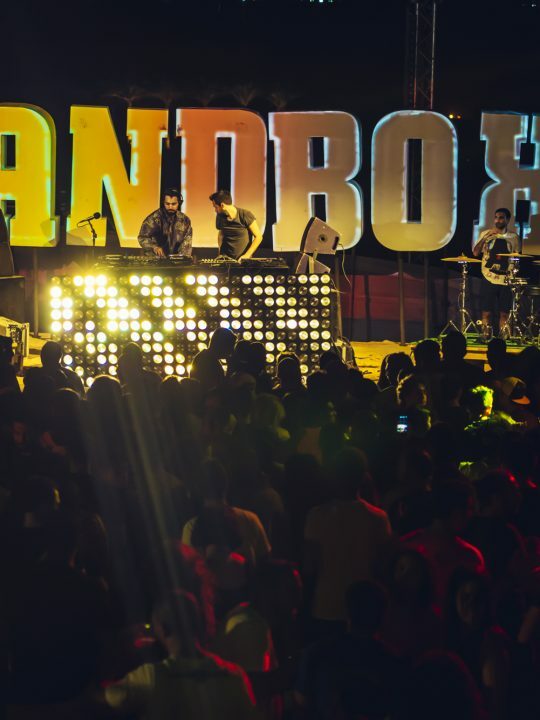 LIB is basically the coolest block party Vegas will ever have. It shows attendees how awesome Vegas can be when you leave the strip. 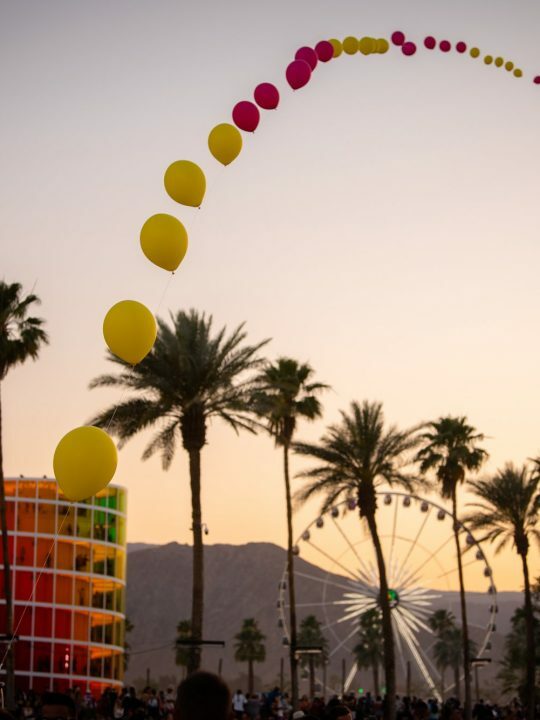 If a 3-day festival lasts five years, that means the organizers never shortchange the lineup. 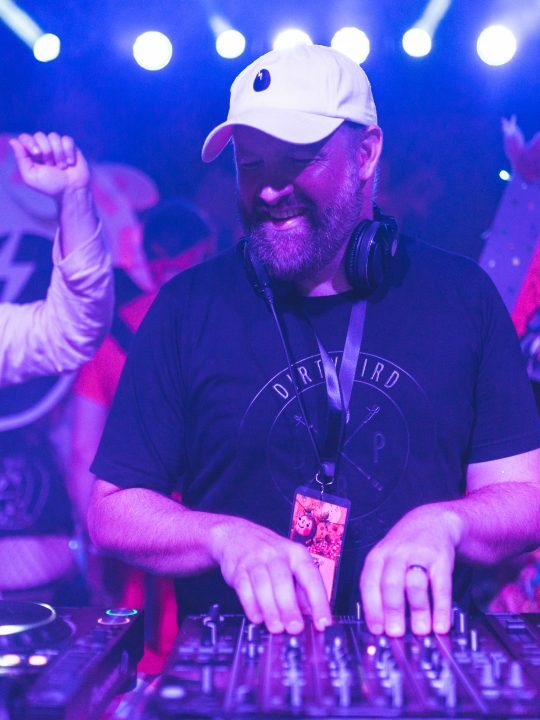 LIB always has an eclectic mix of rap, rock, and electronic, as well as a few classics and wild cards. This year my favorite performances came from Muse, Bonobo, Zeds Dead, and Gorillaz. Seeing Gorillaz was a huge check off my bucket list. And it was especially cool seeing them at LIB for the first time because even though MainStage was huge, LIB doesn’t have an overwhelming number of people like other festivals so it wasn’t too hard getting a good spot. 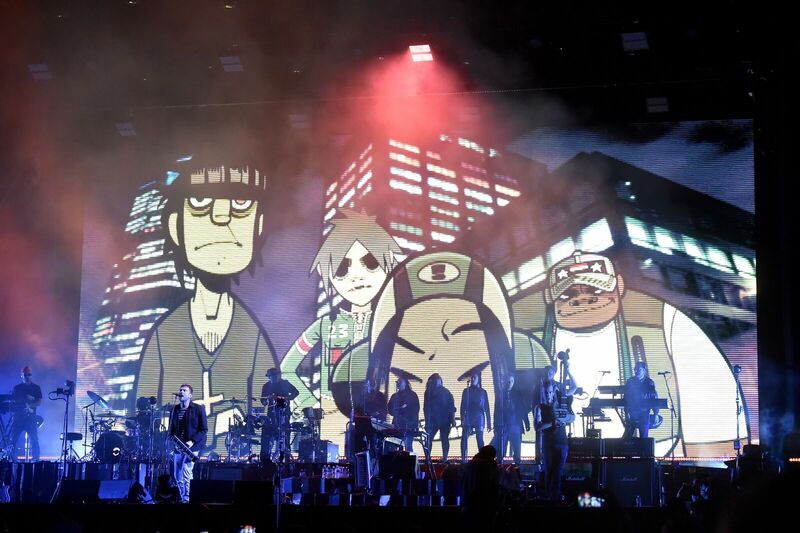 Plus, it was cool just being at a festival because then Gorillaz’ multiple collaborators could perform sets of their own. De La Soul, Vince Staples, and Pusha T came out with Gorillaz after their performances, and other collaborators like Peven Everett were lying in wait. Avid festival-goers know that basically every event on Earth offers “visual art” (at least according to their websites). Whether it’s live paintings artists finish throughout the weekend or large scale art pieces, promoters always try to pepper the grounds with tons of cool stuff to look at. Ideally you can look at it while you chill. Almost none of them, however, allow you to take the art home with you, but LIB did. 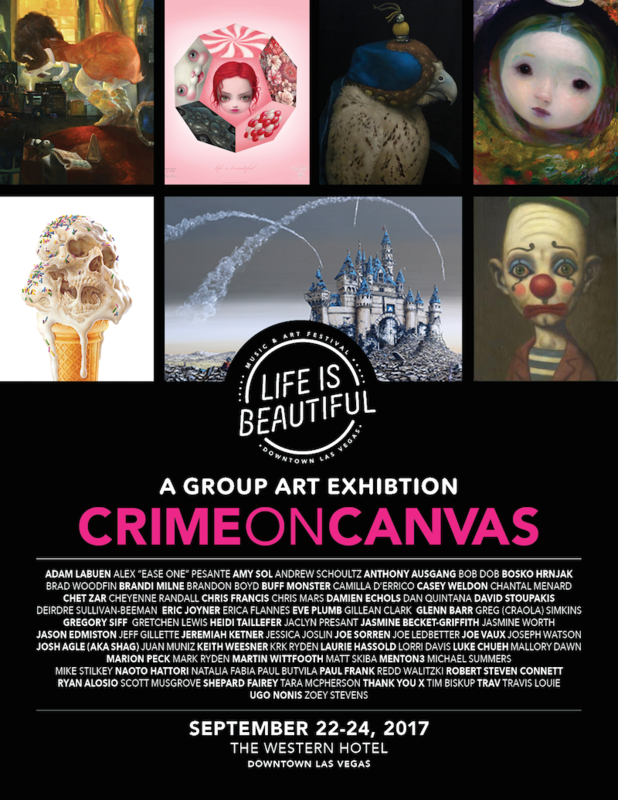 There were plenty of murals and other giant-interactive art pieces, but there was also Crime On Canvas, which was an actual art show with paintings for sale. Over 80 artists displayed work, and what was really cool (other than the fact that there was a bar in the gallery) was that plenty of people came just for the art. Just by admiring the work you’d find yourself having conversations with art fanatics. There weren’t just paintings either. There was a whole separate area for toys and another one for comics. Both of them had limited edition items for purchase. Some toys were toys were on display as pieces of art, and some of the comics were first editions held in a glass case. 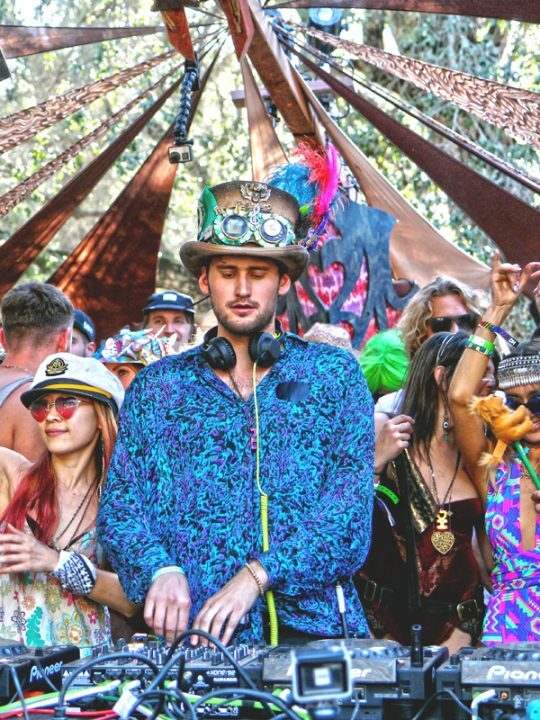 Nerds of all kind could have fun at LIB. You know an event is well put together when all the necessary stuff becomes second nature. At LIB I never had to wait too long for the bathroom, and the bathrooms always had toilet paper. Every stage was loud and clear, but they were far enough apart so there was no overlap. Getting inside never took more than 20 minutes. Water stations were never hard to find and most of the bars and restaurants all sold boxed water. Basically, the festival itself never impeded my good time. Oh, and the weather was perfect too. The temperature never went past 80, and it was mid 60’s at night. Apparently so many people were cold because of their skimpy outfits that the merch booths sold out of jackets, but a sweater and jeans had me chilling all weekend. This time I’m not just referring to the venue, but the city of Las Vegas itself. Even if other cities had the space to accommodate LIB, the attendees would still be at the mercy of city and state regulations. But since we’re talking about Vegas, there practically are none. For example, the festival ends at 1 a.m. each night, but the bars in Vegas stay open a while after that. One of the entrances to the event is on Fremont street which has it’s own little strips of bars, clubs, and casinos. So you could spend the whole day at the festival, and keep the party going immediately after you leave. LIB even allows three ins and outs per day so you could leave the fest halfway through to test your luck. Who knows? You might win enough money to go back to the fest and buy a round for all of your friends. Plus, this is a time when the saturation of hotels works in the attendees’ favor. So many rooms are walking distance from the venue to the point that you might as well be camping. After all, that’s what’s cool about camping at a festival; the convenience of having your own home base a few steps away. At LIB that home base is a private room with air conditioning and a shower and it’s still just as close (maybe even closer) than festivals where you camp. Frankly though, if you’re doing Life is Beautiful right, you won’t want to leave. You’ll want to stay until the very end.